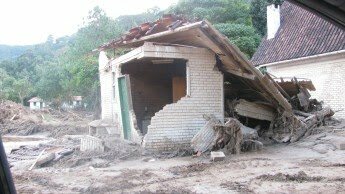 “The rains which touched the State of Rio de Janeiro, principally the mountainous region, killed hundreds of people and left thousands more homeless and without shelter in the first days of 2011. 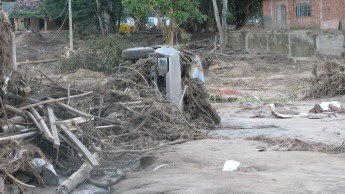 The scene is one of total destruction, especially in the towns of New Friburgo, Teresópolis and Petrópolis. These famous tourist areas have been invaded by water, mud and wreckage. Basic services such as running water, electricity and telephone disrupted, with rescue workers often unable to reach some of the most affected areas and everywhere a climate of despair reigns. The current number of dead has reached 870, with 429 registered as missing and those homeless could reach around the 30,000 mark. 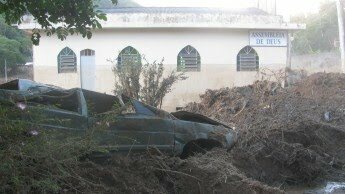 our church), had their houses invaded by the water from the rain and spent the night in panic in the open, on the streets. The sides of the roads served as camps for those who could no longer enter their homes and had nowhere else to go, amongst them women, the elderly and children, soaked in the rain and covered in mud. near my home and suddenly there was this tremendous explosion of water that knocked down walls and roofs of many houses. My little son is suffering from bronquitis and has a high temperature, but he is safe”. She had left the child in a neighbour’s home who offered to look after him for a while. (Song by Ludimila Ferber). It was the only good thing I saw the whole time we were there. It made me want to ask her if I could come in and sing along with her! 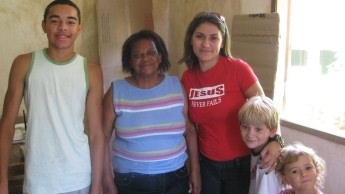 We would like to thank all of you who have so kindly contributed in any way to help families put their lives back together again after this tragedy LAM has been able to send £8,500 altogether over to Brazil because of your generosity and we know that this will be a real help to the pastor as he seeks to minister to those in need.